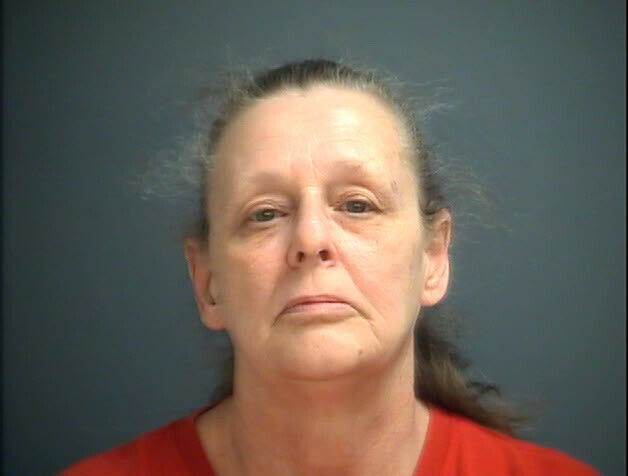 Waynesboro Police have charged Joy Marie Carter, 61 years old, of Crimora with one count of grand larceny in connection to the theft at the former Bank of America on April 1. Carter surrendered herself at the police on April 29. She is free on a personal recognizance bond. A 70-year-old man had gone to the former Bank of America (now First Bank), 1415 West Main Street, the afternoon of April 1 to make a deposit of cash and coins. After realizing he had left part of his deposit in his vehicle, the victim left a bank envelope with the cash at the teller counter and went to his car. When he returned to the teller counter, he noticed the envelope of cash was gone. After viewing the video surveillance provided by the bank, the officer observed a woman pick up the envelope, hold it for a brief period of time, then put it in her wallet. She was in the same line as the victim and would have been aware that he was the owner of the money. She then concludes her business and leaves.